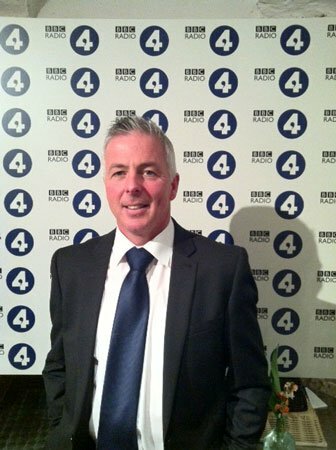 I am delighted to have won the 2014 BBC Food & Farming Award for Outstanding Farmer of the Year. Listen here to the award ceremony. 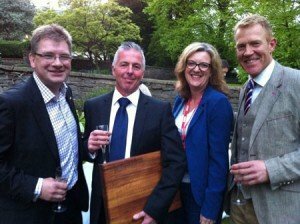 I was presented with the award by Adam Henson and Mike Gooding at a celebration of food and farming held in Bristol on Thursday evening. I was privileged to find myself in the company of food producers, chefs, market organisers, food writers – amongst them a host of celebrities, including Jamie Oliver, Mary Berry and Raymond Blanc. I would like to take this opportunity to thank everyone who has got in touch since the Award winners were announced and wished me well with the Free Range Dairy initiative. This recognition for my efforts to develop a better understanding of the value of milk and dairy products from Britain’s pasture-based dairy herds provides a huge boost to the cause. If you produce, process or consume milk and dairy products sign up to the Free Range Dairy Pasture Promise and help us secure a sustainable supply of healthy milk for future generations. 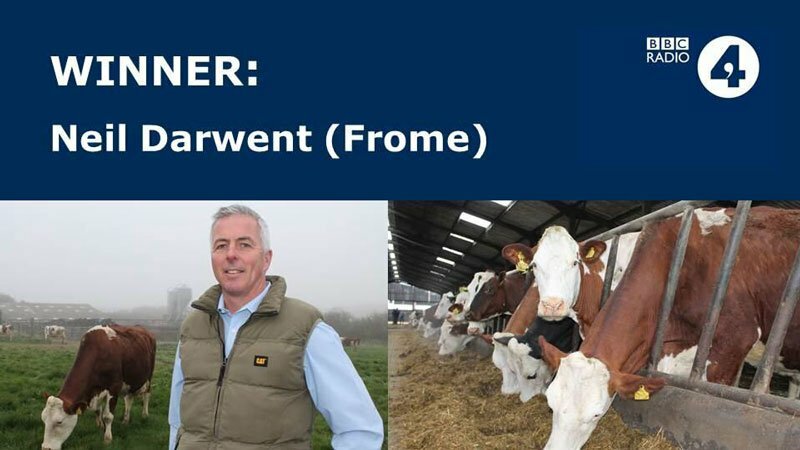 Congratulations to you Neil, it’s great to see that your tireless and enthusiastic efforts in promoting the right kind of dairy farming for our country rewarded. Simple grass based methods are the only way if we want longer lived and healthier cows, nutritious milk and dairy products and sustainable farms. The current industry call for size and scale just isn’t right. Intensive milk production is the road to nowhere, taking dairy farmers further away from their roots and further towards a global market that won’t deliver. The mainstream dairy industry view with their self-interested PR folk and media followers won’t be happy until we’ve accepted mega dairying when it’s (mega dairying) really not needed here in the UK. Good luck Neil and I hope this award brings you and Free Range Dairy the success it deserves. In an ailing industry that is looking for and positively needs inspiration and progressive thinking Neil stands out as a ‘ray of light’. His ideas make far more sense than over industrialised macro farms. On the few occasions I have been in his company he has been passionate on the subject of his cattle , the land and his ‘Free Range Dairy’. Like the furniture industry , the farming fraternity need people to step out of the shadows. Looking to the future with both enthusiam and some well founded farming sense, will I am sure bring Neil much more success. As I am learning in my business- it is all about the experience , quality and delivering what the customers require but more especially maintaining that balance for one and all. ‘More power to your elbow’ Neil. The example you set inspires beyond the farming community.